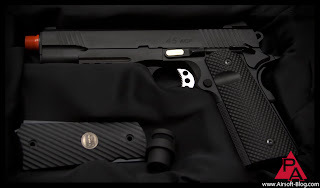 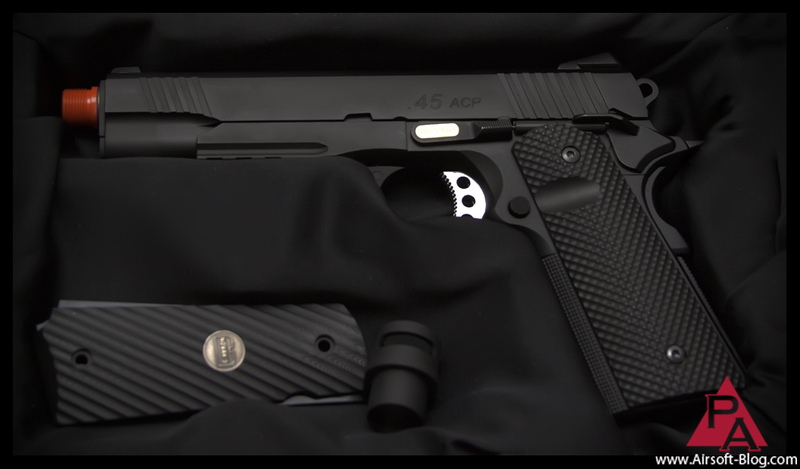 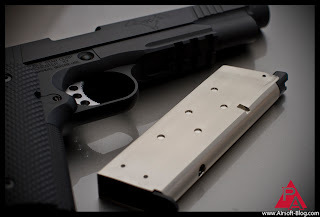 As a follow-up to my video from last week wherein I unboxed the new DoubleStar 1911 Gas Blowback Pistol from SOCOM Gear, which is not yet available on the market, I have added some still shots of said Airsoft gas blowback gun for the benefit of your eyes and your soul. 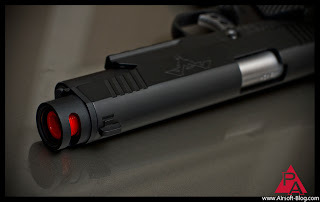 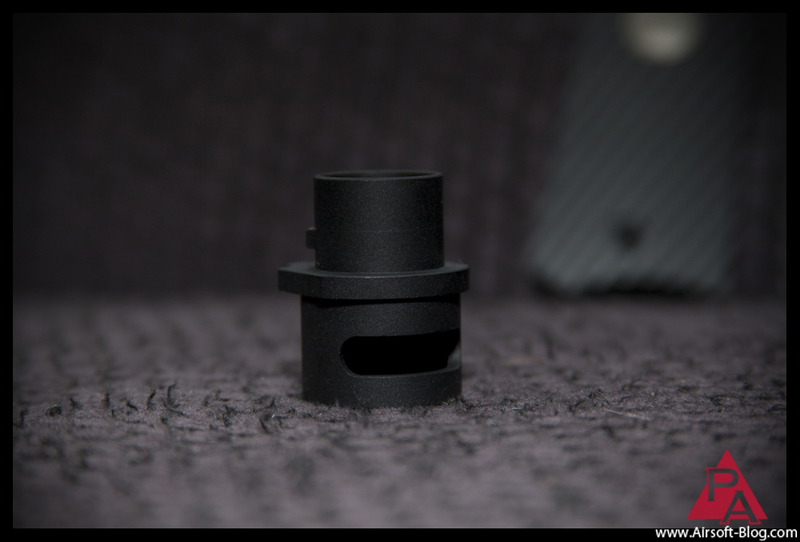 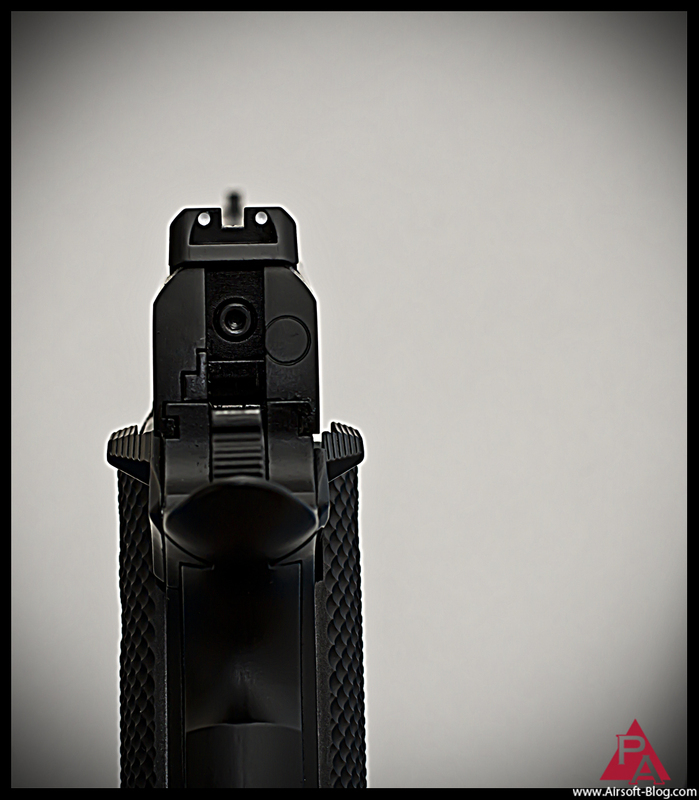 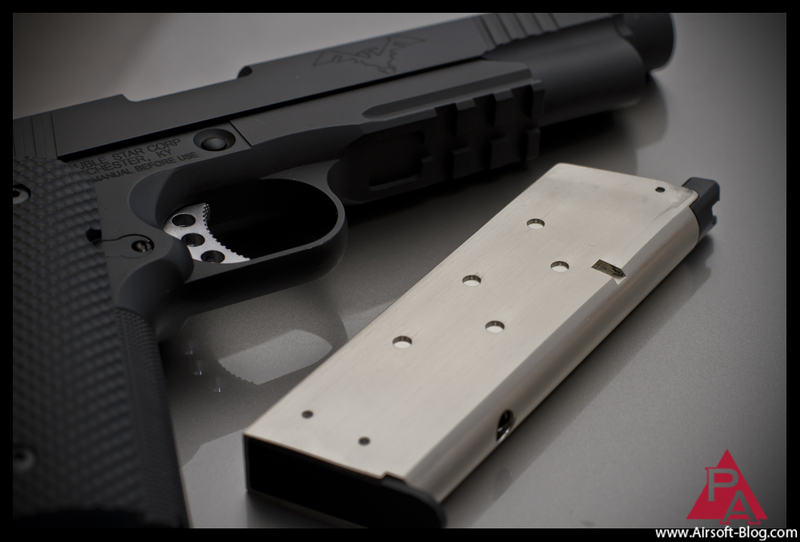 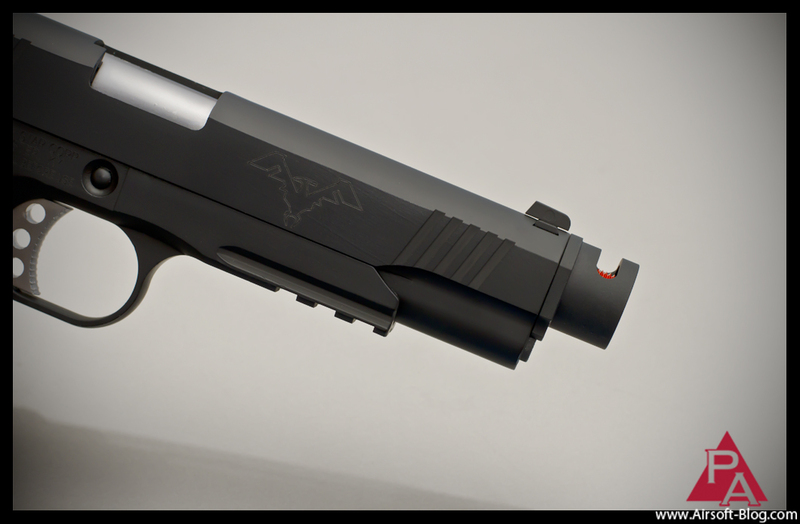 Close-up of the DoubleStar compensator that's included with the Airsoft gun. Metal loop for attaching a retention lanyard. 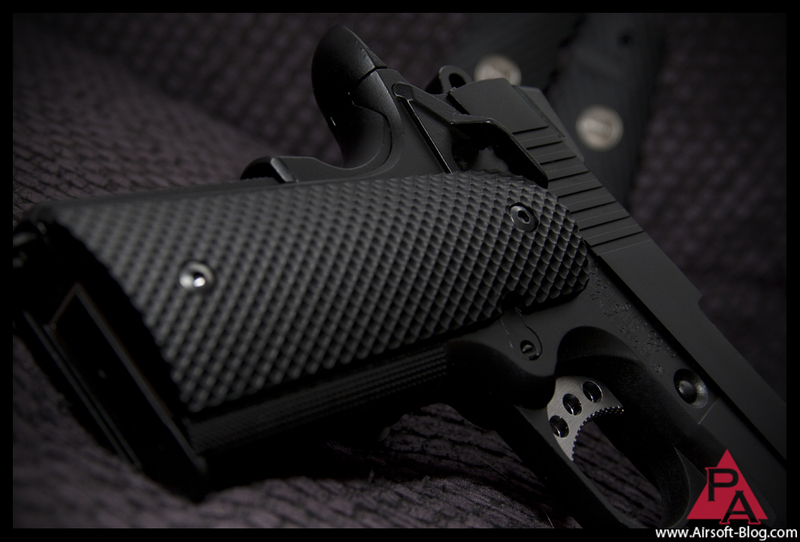 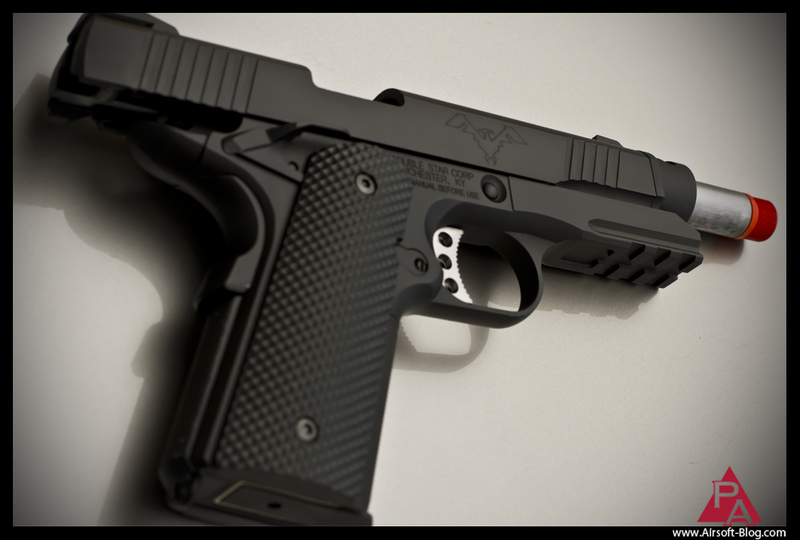 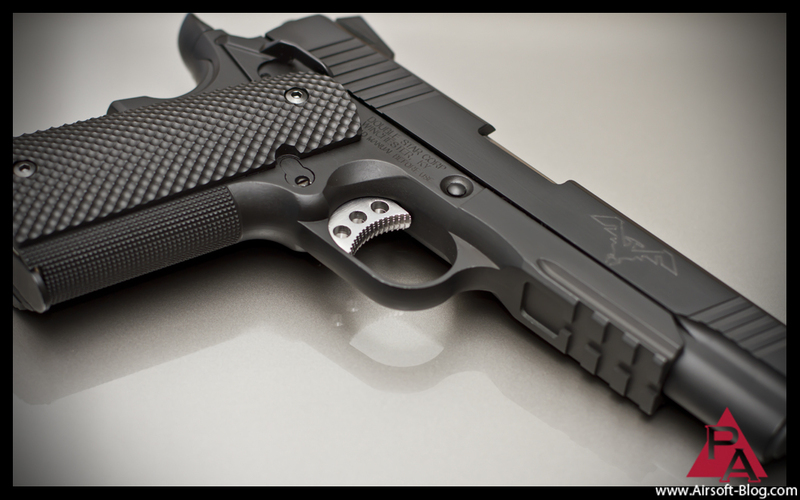 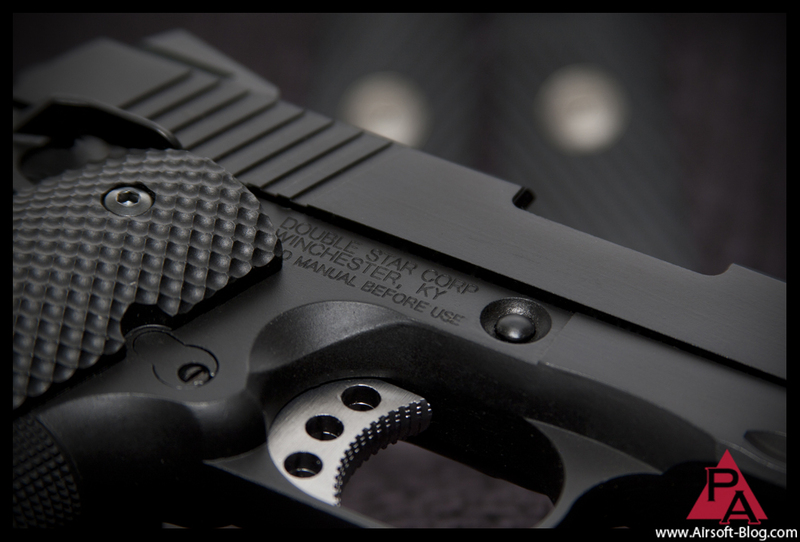 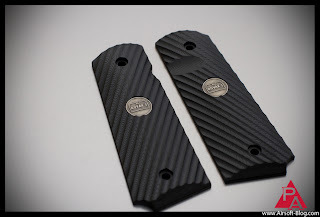 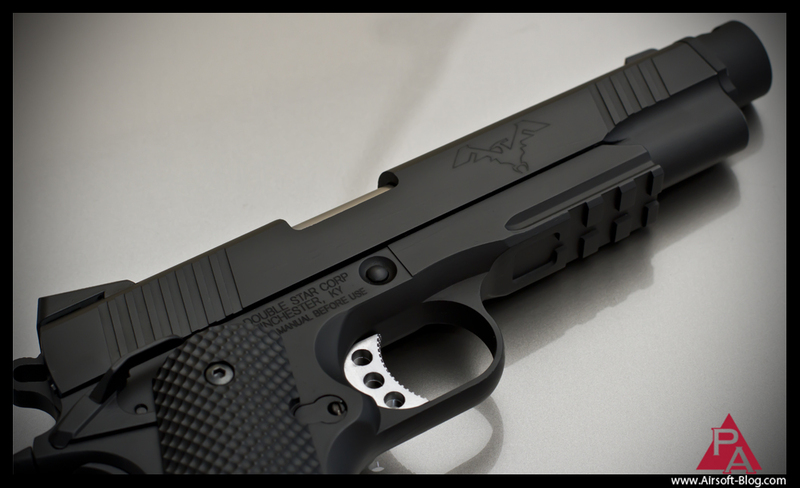 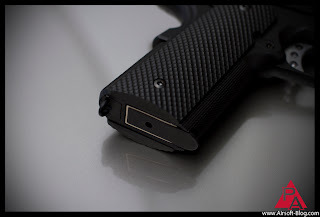 Novak's 1911 grip panels which are also included in the package in addtion to the golf ball dimpled grips. 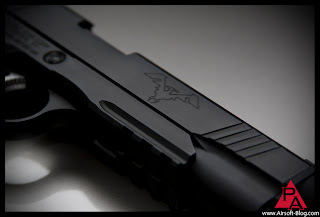 A third option for grips in a unique American Flag-style design. 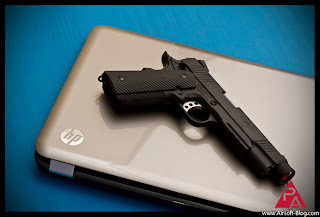 Turns out, my new laptop makes a phenomenal gradient background for photographing Airsoft gas blowback pistols, such as the one you've just had the pleasure of viewing. 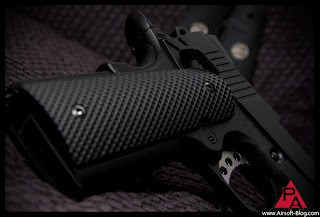 Bi-winning.